William Shockley (1910-1989). 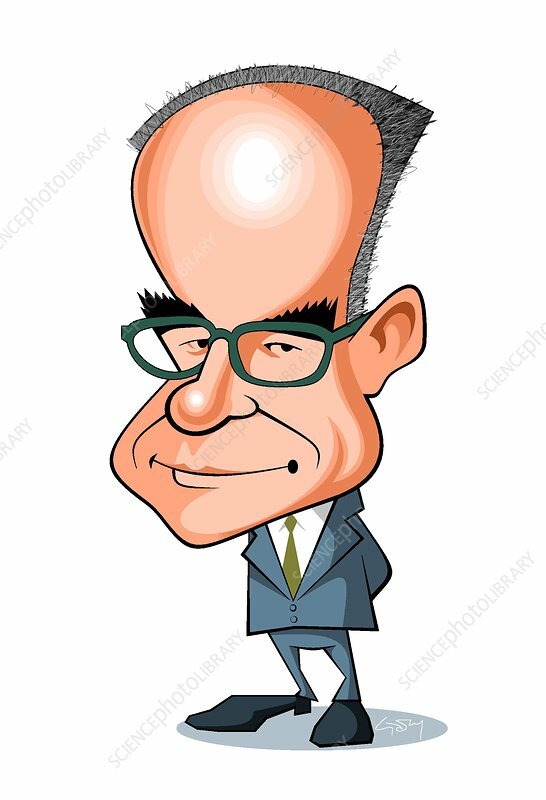 Caricature of the US physicist William Shockley. Shockley is best known for creating (in 1947), along with his researchers John Bardeen and Walter Brattain, the first transistor - a solid state switch now used in practically every electronic device. The three men shared the 1956 Nobel Prize for Physics for this work. Shockley later fell out with the other two over that and subsequent work. In later life he courted controversy by espousing eugenics.